Today is the birthday of Ernest Davis (February 17, 1872–September 16, 1962). “Sir Ernest Hyam Davis was a New Zealand businessman, and was Mayor of Auckland City, New Zealand from 1935 to 1941. He was also on other Auckland local bodies (Fire Board, Hospital Board, Drainage Board) and on various philanthropic and sporting organisations. He was Mayor of Newmarket (a small inner-Auckland borough) 1909–1910.” His family owned several breweries and Davis was instrumental in the creation of New Zealand Breweries Limited, a merger of 10 breweries in 1923. It became known as Lion Breweries in 1977, and in 1988 merged with LD Nathan & Co. and became Lion Nathan. In 2009, Lion Nathan was bought by Japan’s Kirin. A brewery baron for half a century, and the liquor trade’s master tactician against the prohibition movement, Ernest Hyam Davis exerted enormous influence at the highest political levels. He combined this with a complex business career and an unbounded enthusiasm for yachting, racing and philanthropy. He was born in Nelson on 17 February 1872 (registered simply as Hyam), the son of Moss Davis, an immigrant Jewish merchant, and his wife, Leah Jacobs. He attended Bishop’s School in Nelson, but completed his education at Auckland Grammar School after his father joined, then acquired, the Auckland liquor firm of Hancock and Company. Ernest disliked academic study and his final report described him as ‘utterly incorrigible’, although he subsequently attended evening classes at Auckland University College. His first position was with the ironware merchants William McArthur and Company, but he soon quit this for a brief stint working in Brisbane and a walking tour of Fiji. 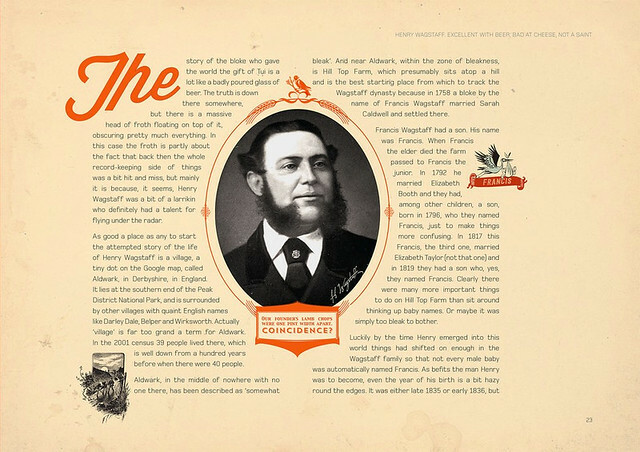 In 1892 Davis joined his father’s firm as a director along with his brother Eliot, and three years later added the directorship of another family acquisition, the Captain Cook Brewery, then the largest in New Zealand. When Moss Davis retired in 1910 to England, the two brothers took charge of Hancock and Company. With his portfolio of controlling shares, Ernest was appointed managing director, a position he retained until his death. On 2 August 1899, at Auckland, he married Marion Mitchell. They were to have a son and a daughter. At the same time, Davis evidently found ample opportunity for extra-marital affairs. As well as managing his brewery interests, Davis was prominent in the liquor trade’s efforts to counter the flourishing prohibition movement. Between 1894 and 1910 the number of licensed premises slumped from 1,719 to 1,257, and in 1908 Hancock and Company lost 14 Auckland hotels without compensation. The 1911 triennial liquor poll, at which prohibition was almost carried, induced the brewery interests to intensify lobbying, and funds were channelled to political supporters. Davis adeptly orchestrated this flow, and capitalised on the fact that among his brewery’s employees for a decade after 1908 was a rising labour activist, Michael Joseph Savage. Davis materially assisted the New Zealand Labour Party over a lengthy period, and probably foresaw that it would ultimately emerge as a governing force. He lodged securities for gaoled agitators during the 1912 Waihi miners’ strike, provided a hotel for John A. Lee to manage when he lost his parliamentary seat in 1928, and made standing donations to Labour candidates’ election funds until his death. 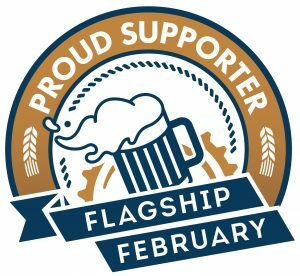 His support was not based solely on cynical commercial motives. From his 30s Davis showed an enormous capacity for a multitude of interests. He was prominent among the early members of the Auckland Rowing Club, and was a foundation member of the Auckland Orphans’ Club. In 1909 Davis became mayor of the small borough of Newmarket, and was re-elected in 1910. Moving on to Auckland City, he was elected as an independent councillor in 1915 and served until 1920, when he resigned, only to regain office in 1921. Later it was estimated that he held significant positions in at least 94 sporting and social bodies, 11 of them at the national level, including the presidency of the New Zealand Football Association. He also served on the board of management of the Auckland Hebrew Congregation. Davis played a pivotal role in the 1923 formation of New Zealand Breweries Limited from 10 existing companies, but this did not prevent his deepening immersion in local body affairs. In the 1920s and 1930s he served on the Auckland Harbour Board, Auckland Hospital Board, Auckland Metropolitan Fire Board and Auckland and Suburban Drainage Board. He crowned his municipal career by narrowly winning the mayoralty of Auckland in 1935 as the Auckland Citizens’ and Ratepayers’ Association candidate and, as Sir Ernest (he was knighted in 1937), comfortably secured re-election in 1938. Taking office at the end of the depression, he initially stressed economy and prudence, but later oversaw construction of the municipal bus terminal and parking station, Scenic Drive, and the Chamberlain Park Golf Course. In the early phases of the Second World War he was at the forefront of patriotic endeavour, but chose to retire from the mayoralty in 1941, basking in valedictories that hailed his calm progressiveness, executive capacity and exceptional popularity. Belying his 70 years, Davis then resumed an active business life, holding many directorships including that of the Auckland Meat Company, Bycroft Limited, Kawerau Hotel, and the Northern Steam Ship Company. He chaired the Devonport Steam Ferry Company for 20 years and for a similar period was a trustee of the Auckland Savings Bank, serving as chairman in its centennial year (1947). In 1960 he became a foundation director of the New Zealand Distillery Company. With trusted lieutenants to manage his brewery and hotel empire, Davis was free to indulge his sporting and cultural interests. 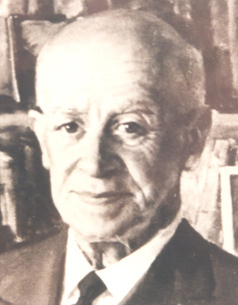 About 1939 he bought a Rotorua farm, which subsequently became a model for a town-milk supply enterprise. An inveterate yachtsman, he owned several notable craft and had life membership of the Royal New Zealand Yacht Squadron conferred on him in 1957. He became an avid racehorse owner, the success of his stable making him the leading stakeswinner four times in the mid 1950s. He commissioned for the city portraits of Queen Elizabeth II, Lord Freyberg and Sir Edmund Hillary. Late in life Davis distributed much of his immense wealth in the form of widespread charitable benefactions. He also gifted Motukorea (Browns Island) to the citizens of Auckland, established the superb medical library at Auckland Hospital in honour of his wife (who had died in May 1955), and funded the construction of the Tiritiri Matangi Island shipping light. To celebrate his 90th birthday, the Auckland City Council hosted a formal civic reception. He died on 16 September 1962 at his central city residence in Waterloo Quadrant, survived by his daughter. Although one of New Zealand’s most successful and eminent businessmen and a peerless political manipulator, Ernest Davis always regarded himself as a man of the people, obliged to set an example of good citizenship. About the virtues of Auckland he confessed a feeling near to adoration. His ability to juggle an astounding array of business, sporting and social priorities never faltered, and he was at the centre of civic life in Auckland for over 50 years. 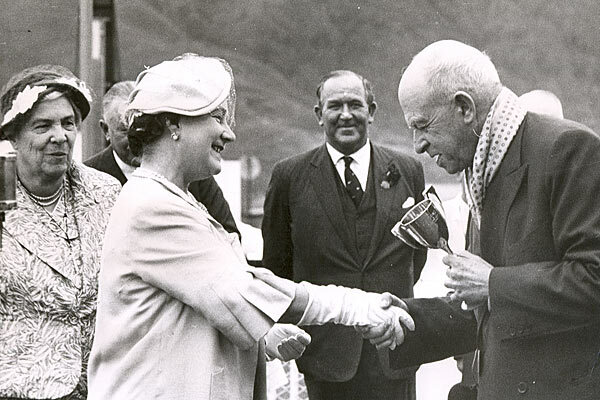 Sir Ernest Davis receiving the St. James Cup from the Queen Mother in 1958. Entrepreneur and philanthropist, Sir Ernest Davis was also the “eminence grise” of New Zealand politics in the 1920s and 1930s, William Mace writes. 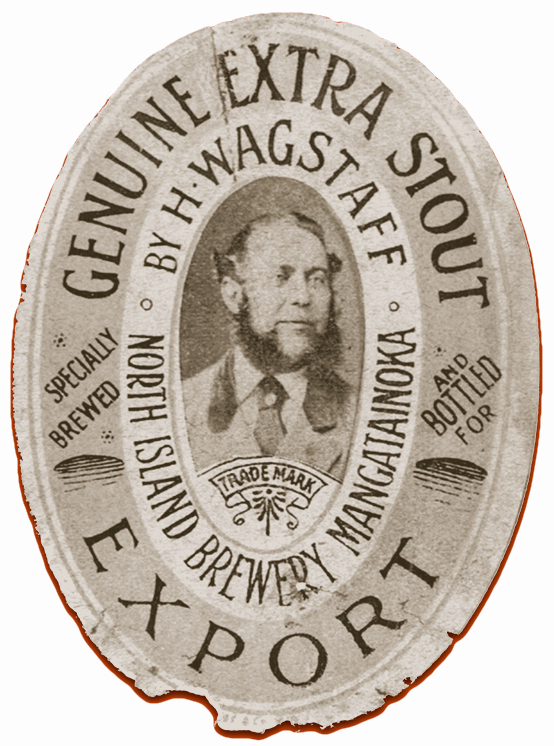 Brewery baron, two-time mayor of Auckland, knight of the British Empire, patron of the Labour Party and philanthropist. It is a distinguished list of honours, but Sir Ernest Hyam Davis may be best described – like many Aucklanders – as a yachtsman. It was his love of the sea that drew him into an inauspicious start to his working life. A 1948 book by his brother Eliot Davis, A Link with the Past, exposes the consequences which led to Sir Ernest’s departure from the prestigious Auckland Grammar School in 1886. He preferred to spend his school days looking after a yacht, Malua, which was owned by several local sailors who would take the 14-year-old on harbour and gulf expeditions. One day, rather than turning up for an examination, “he persuaded the whole form he was “in to play the wag” so he could prepare the boat for an upcoming weekend voyage. The next day young Ernest decided to stay home with a rheumatic relapse, nursed by his mother, while his younger brother went to school. “The headmaster … was furious and the whole school was in a turmoil. Some of the boys gave the show away by saying that it was Ernest’s fault, with the result that he was promised the daddy of a hiding,” Eliot writes. Eventually Ernest was forced to return to school, protecting himself with “three pairs of trousers and exercise books down his back, and extra flannel underwear on”. But instead of the immediate punishment of a capital thrashing, Ernest was given homework to keep him busy over the holidays. He gave every spare moment to his sailing hobby and failed to complete the schoolwork, “so he persuaded father to let him go to work”. His first job, with ironware merchants William McArthur and Company, was sweeping floors. “Ernest was one of the annoying boys at school, always in trouble, although he was a favourite with the masters because he was very open and frank about it,” Eliot says. In his last report before he left school a master described him as “utterly incorrigible”. Described as equal parts persuasive, charming, frolicsome, incorrigible and enterprising, it was this mix of attributes that led Sir Ernest to climb the ranks of public popularity. In 1892, at the age of 20, he joined his father, Moss Davis, in his liquor business Hancock and Company, as did his brother. Three years later the family bought the Captain Cook Brewery in Newmarket. 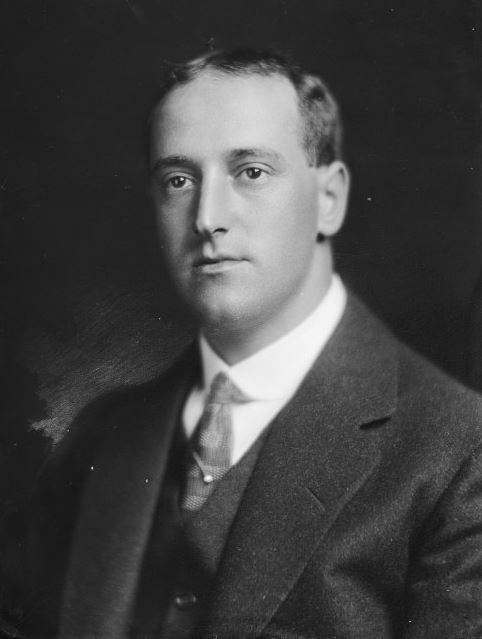 When his father retired to England in 1910, Sir Ernest was appointed managing director of Hancocks. He guaranteed his prosperity by facing the strengthening prohibition movement head on. Graham Bush’s biography of Sir Ernest says that between 1894 and 1910 “the number of licensed premises slumped from 1719 to 1257 and in 1908 Hancock and Company lost 14 Auckland hotels without compensation”. When prohibition nearly carried at the polls in 1911, brewers around the country were stirred to action. The brothers were at the forefront of lobbying efforts to ensure prohibition’s “attendant evils of corruption and wickedness” did not grab hold in New Zealand. Eliot Davis wrote in 1948: “No men of the present day … have been through the mill of trouble and anxiety in business that Ernest and I have been through. It was at this time that Sir Ernest began his association with the growing Labour Party movement. 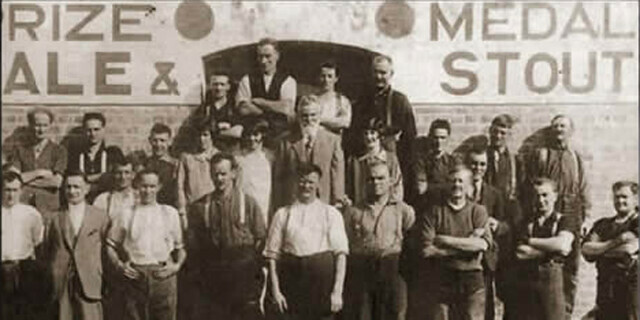 A young Labour activist named Michael Joseph Savage was among his brewery’s employees. He donated money to the Labour cause, provided bail for agitators during the 1912 Waihi miners’ strike and provided a hotel for the radical John A Lee to manage when he lost his parliamentary seat in 1928. The trump card for anti-prohibitionists came in 1918 when, according to Eliot, his father in England organised for returning World War I soldiers to vote on the issue – their desire for postwar freedoms more than cancelled out the teetotallers’ majority. By 1919 in New Zealand the alliance for prohibition had huge resources behind it and looked to have won the domestic vote, but the still-returning New Zealand Expeditionary Force tipped the balance, as it had done in England. 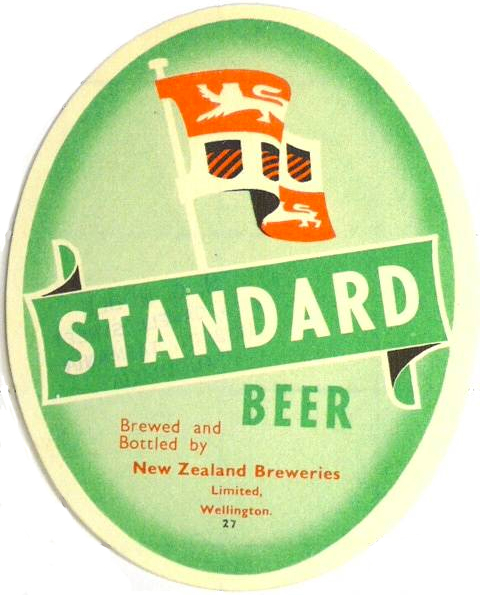 Prohibition was defeated and in 1923 so was the spectre of nationalisation of the industry, as Sir Ernest played a prominent role in organising the incorporation of 10 regional breweries into New Zealand Breweries. The conglomerate became Lion Breweries in 1977, Lion Corporation from 1985 and Lion Nathan from 1988. Japanese brewer Kirin completed a full takeover of Lion Nathan last year and it has since been merged with National Foods and Dairy Farmers. Lion Nathan National Foods listed a profit of A$539.7 million (NZ$662.9m) for 2009. But Sir Ernest’s brother and his biographer, Graham Bush, are both confident his public role was not a cynical attempt to further his business interests. In 1909, he became mayor of Newmarket, then in 1915 he was elected to Auckland City Council and served until 1920. He also served on the Auckland Harbour Board, Auckland Hospital Board, Auckland Metropolitan Fire Board and Auckland and Suburban Drainage Board. He won the Auckland mayoralty in 1935, was knighted in 1937 and re-elected in 1938. He retired in 1941 while “basking in valedictories that hailed his calm progressiveness, executive capacity and exceptional popularity”, Mr Bush writes. Sir Ernest had married an opera singer, Marion, later to be Lady Davis, in 1899 and they had two children. His daughter Mollie, eventually a wealthy property investor in her own right, took in two children. English war evacuee Georgie Williams, who was five years old at the time, remembers disembarking from a train from Wellington to be greeted by a tall man in a suit who bent down and uttered the words, “This one’s for my daughter”. Georgie lived with her new mother in Parnell and spent time with Sir Ernest at his home, Longford, at Kohimarama. She says the family wasn’t used to children and that she came in “like a bomb”. She recalls Sir Ernest entertaining dignitaries such as Baron Bernard Freyberg, who spent the evening resting his foot on the hidden bell-push, resulting in a state of constant panic and annoyance for the kitchen staff. 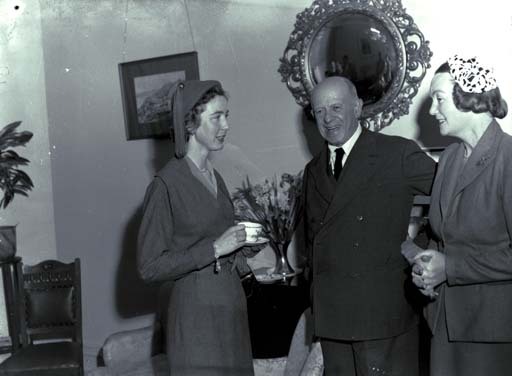 In 1947, Mollie married Ted Carr and moved to Sir Ernest’s Highfields property in Rotorua. A young Clifford Gascoigne went to live with the family there and recalls Sir Ernest’s popularity with the British arts community. Mr Gascoigne met Gone With The Wind actress Vivien Leigh several times, along with other silver screen legends Joan Fontaine and Jack Hawkins, and Irish writer George Bernard Shaw. A ring gifted by Leigh to Sir Ernest as a token of their friendship was handed down to Mr Gascoigne by Mollie Carr and he still wears it occasionally. There are further stories of a racehorse gifted to the Queen Mother and a reception for the Achilles warship returning from the battle of River Plate. But throughout, Sir Ernest continued to nourish his love for sailing by corresponding with legendary sailor and teamaker Sir Thomas Lipton and becoming a lifetime member of the Royal New Zealand Yacht Squadron. But despite owning several state-of-the-art yachts, such as Viking and Morewa, he confided in his brother that “he never felt such a thrill with them as he did with that flat-bottomed craft which he purchased for half a quid” – his first yacht. In his later life he began to spread his wealth, donating Browns Island to the citizens of Auckland and funding construction of the lighthouse on Tiritiri Matangi Island. He also established a medical library at Auckland Hospital in memory of his wife, who died in 1955. After his death in 1962 at the age of 90, his endowments still flowed through various community organisations. His daughter Mollie died in 1993, also in her 90th year, Mr Gascoigne says. 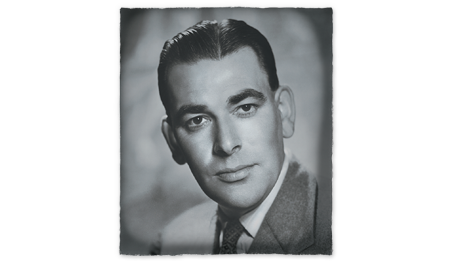 Morton Coutts (1904-2004) was the inheritor of a rich brewing tradition dating back to the 19th century. 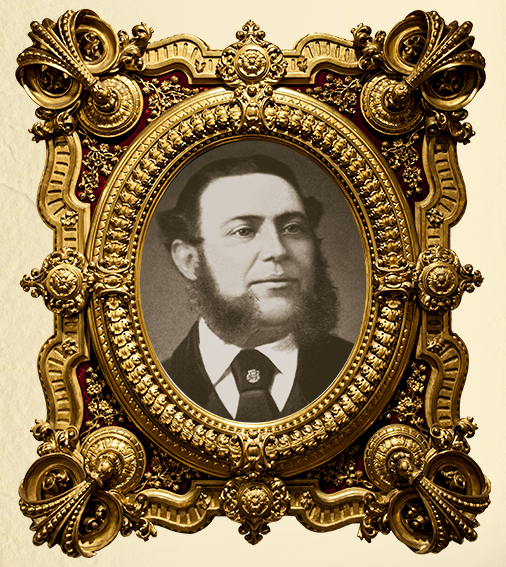 Like his father, W. Joseph Coutts and grandfather, Joseph Friedrich Kühtze, Morton Coutts was more an innovator and scientific brewer than a businessman. 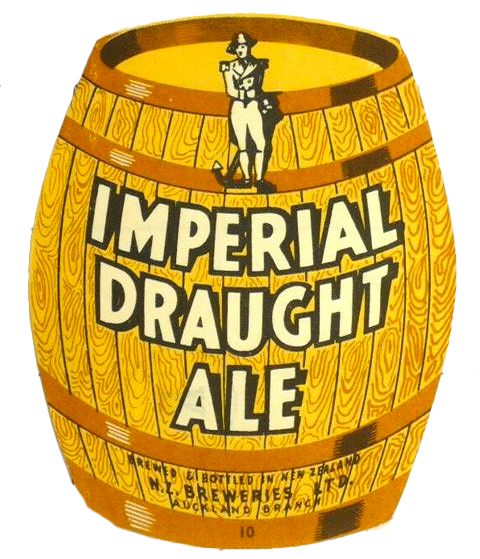 He was foundation head brewer of Dominion Breweries Ltd under (Sir) Henry Kelliher and became a director of the company after his father’s death in 1946. He and Kelliher formed a formidable team-Coutts, the boffin-like heir to a rich brewing heritage, obsessed with quality control and production innovation, and Kelliher, a confident, entrepreneurial businessman, able to hold his own with politicians and competitors. Morton Coutts’ most important contribution was the development in the 1950s of the system of continuous fermentation, patented in 1956, to give greater beer consistency and product control. The continuous fermentation process was so named because it allows a continuous flow of ingredients in the brewing, eliminating variables to produce the ideal beer continuously. The system achieved this by scrapping open vats-the weak link in the old system-and replacing them with enclosed sealed tanks. 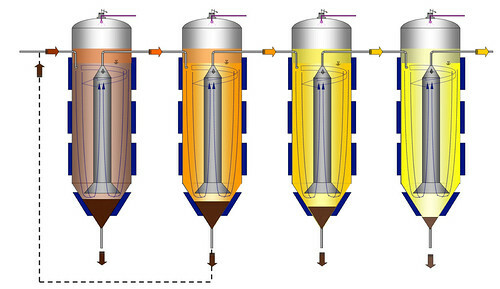 Continuous fermentation allows the brew to flow from tank to tank, fermenting under pressure, and never coming into contact with the atmosphere, even when bottled. Coutts’ research showed that his process could produce consistent, more palatable beer with a longer shelf life than under batch brewing. 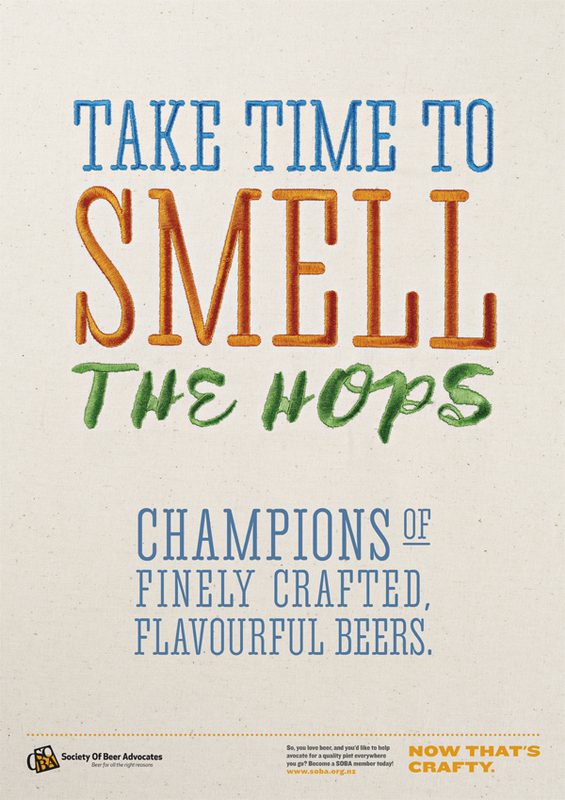 A London newspaper described it as a “brewer’s dream and yours too”. 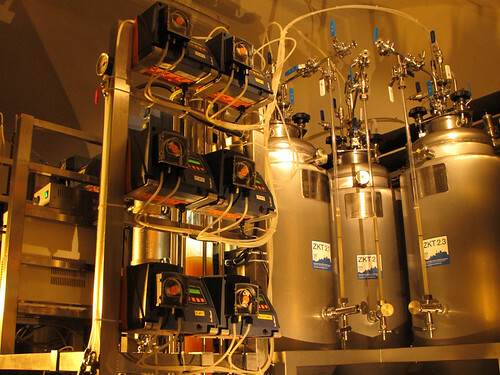 Coutts patented the process, and subsequently the patent rights were sold worldwide as other brewers recognised the inherent benefits of continuous processes. Although many attempted to implement the technology, most failed due to their inability to apply the rigorous hygiene techniques developed and applied by Coutts. Eventually, in 1983, Coutts’ contribution to the industry was honoured in New Zealand. And DB Breweries also has a timeline with key events in the brewery’s history, including dates from Coutts’ life. 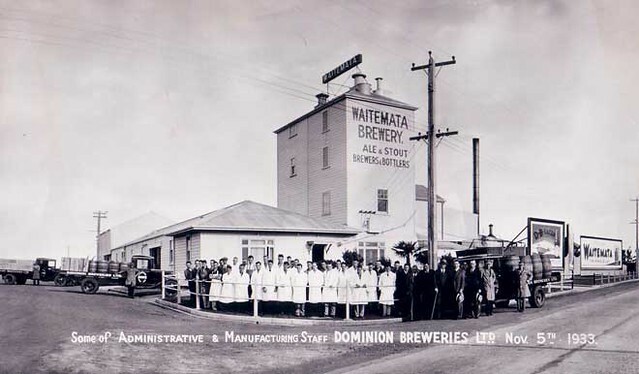 The Waitemata Brewery in 1933, after it became part of DB Breweries. 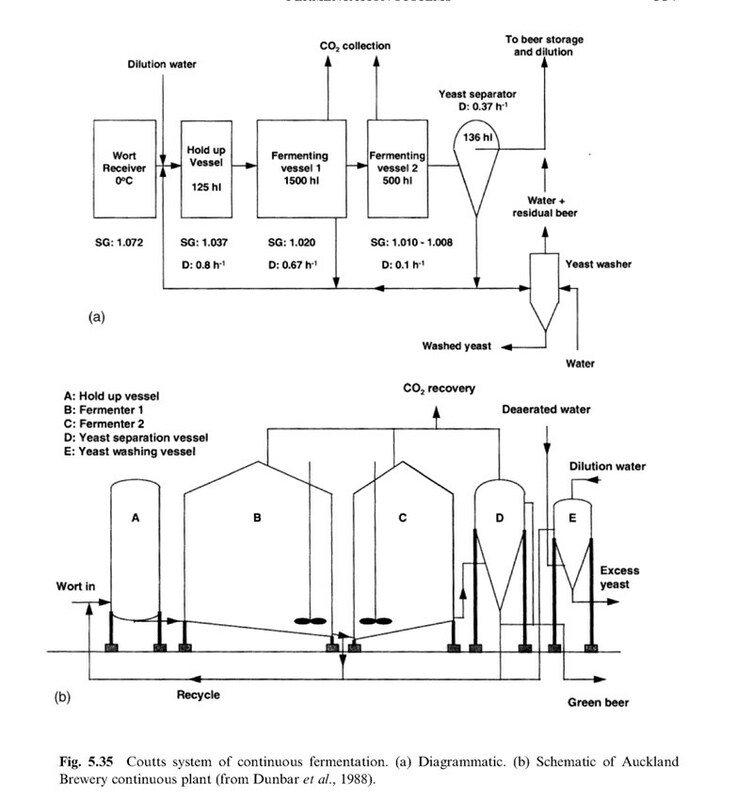 As for his most influential invention, continuous fermentation, here are some resources, one from New Zealand’s Science Trust Roadshow with Morton Coutts — Continuous Fermentation System. 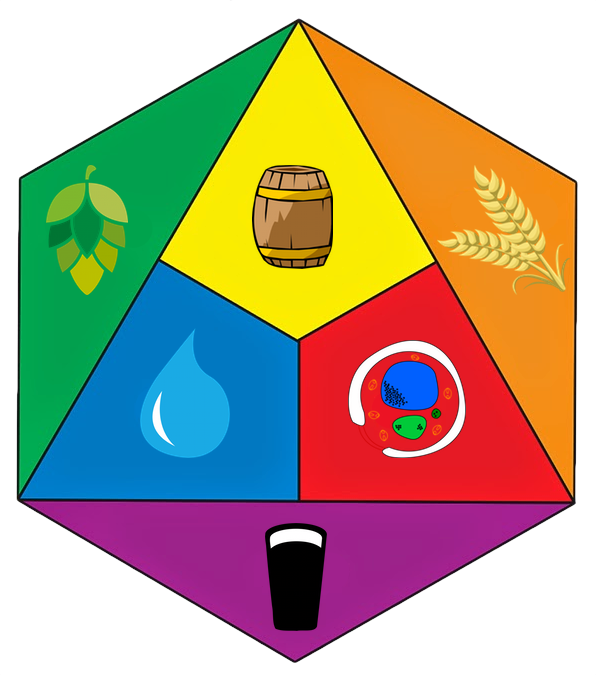 And after I visited New Zealand, I wrote a sidebar on it for an article I did for All About Beer, and also later when a German university announced something very similar a few years ago in Everything Old Is New Again: Non-Stop Fermentation. Also, here’s the story of him creating DB Export The Untold Story, featuring this fun video. 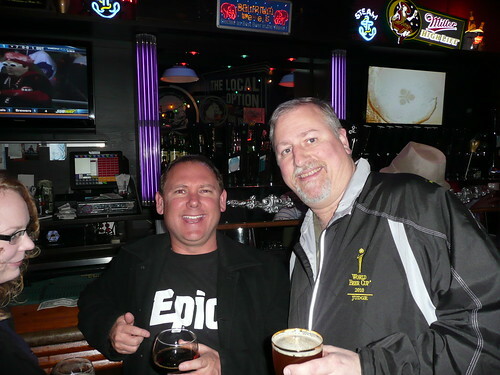 Today is also the 48th birthday of Luke Nicholas, founder/brewer of Epic Brewing in New Zealand. 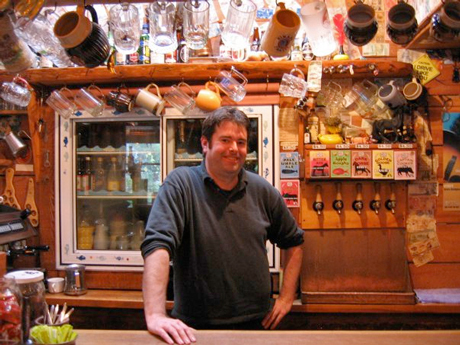 Luke brewed for many years in New Zealand before striking out on his own, and also lived in the States for a spell working for RealBeer.com and became fond of hoppy beers. 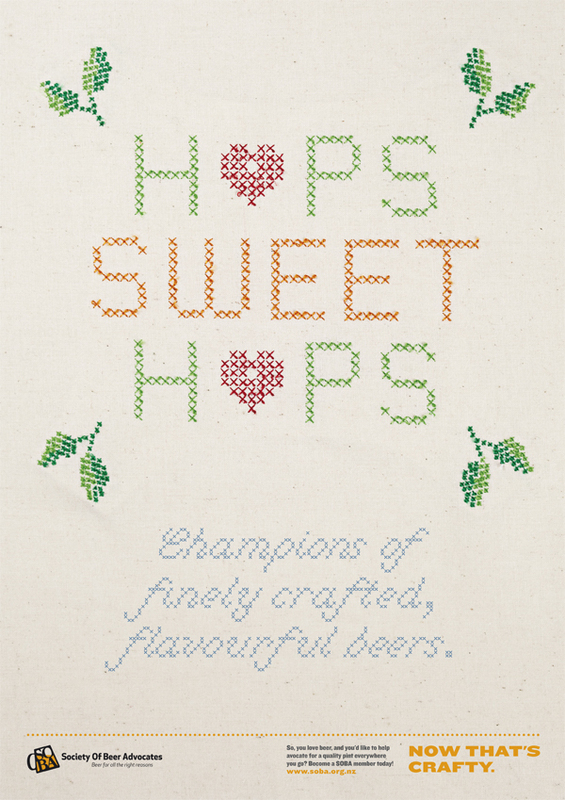 As a result, his beers are some of the hoppiest in New Zealand. 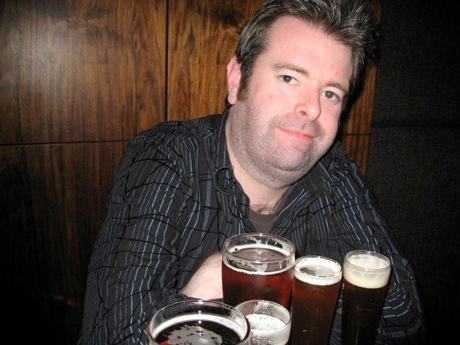 He also started a real beer website just for New Zealand, RealBeer.co.nz and was instrumental in starting a Brewers Guild of NZ. Luke was kind enough to show me around the beer scene in Auckland when I was there with my family a few years ago, and we run into one another at beer events surprisingly often. 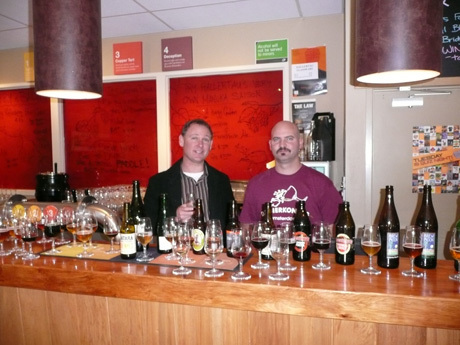 He’s a great beer ambassador not just for his native country, but for great beer everywhere. 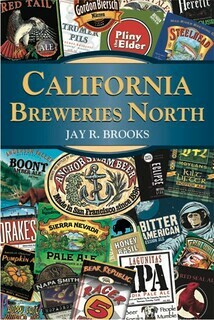 You can also read about his exploits online at Luke’s Beer. Join me in wishing Luke a very happy birthday. 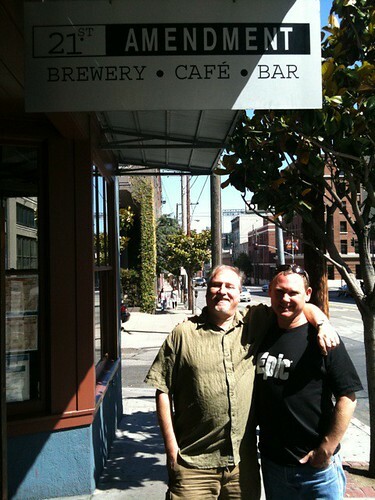 Me and Luke outside 21st Amendment during a visit to our shores. 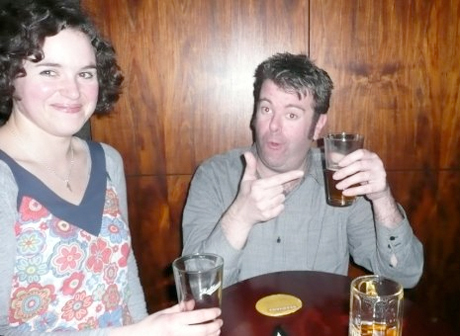 And at the 2010 Craft Brewers Conference in Chicago. With Stephen Beaumont at CBC in Washington, DC a few years back. 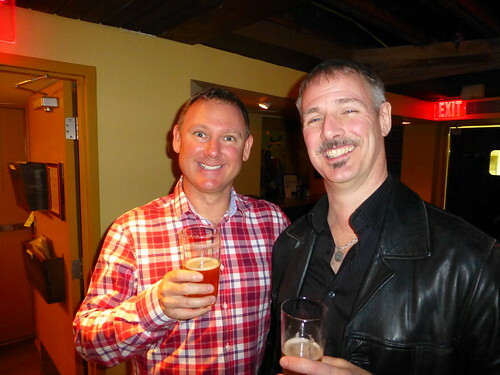 Luke in New Zealand at Hallertau Brewbar & Restaurant with owner/brewer Stephen Plowman. 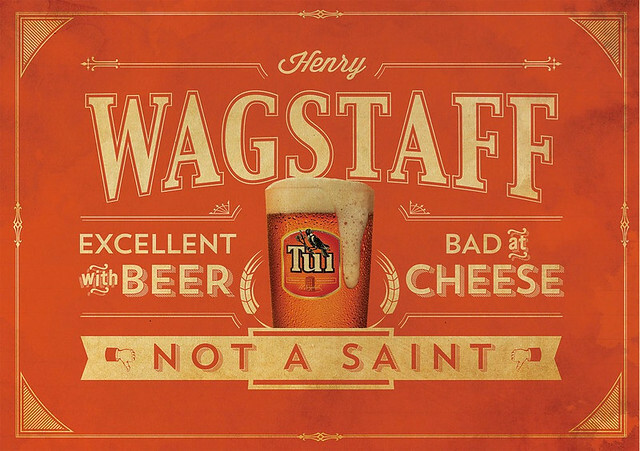 Saturday’s holiday ad is for Mac’s, from New Zealand. The ad is a fairly recent one, from 2014. Originally known as McCashins Brewery, for founder Terry McCashin, it was New Zealand’s first craft brewery when it opened in 1981. But almost everybody called it Mac’s, and that’s the name it goes by today, and for most of its existence. 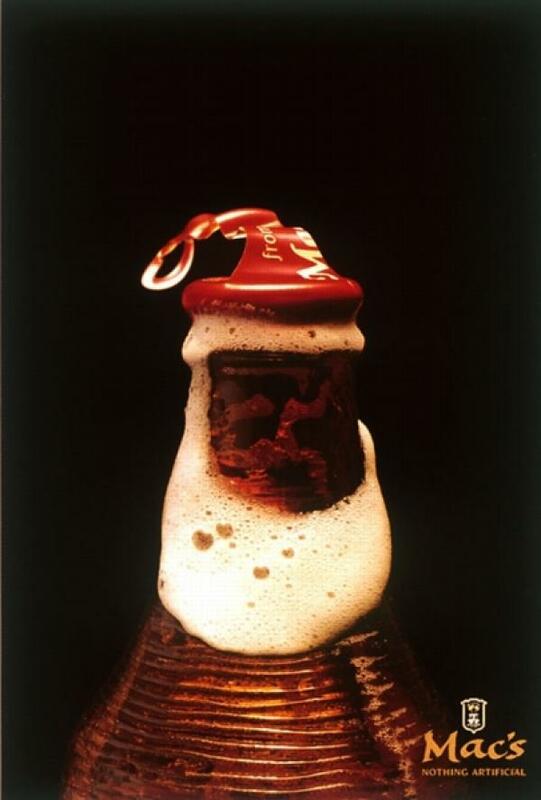 But the ad is pure genius, taking Mac’s distinctive bottle and having look like a dead beer ringer for the man in red. It almost makes me wish I had some in the cooler. 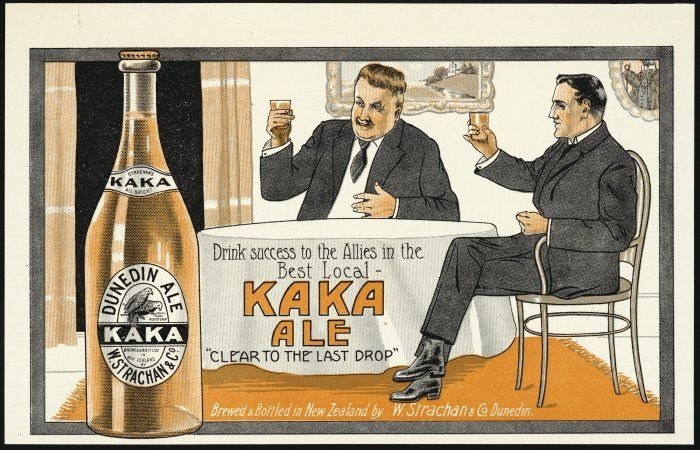 Saturday’s ad is for Kaka Ale, or Dunedin Ale (which is also on the label), from between 1914-1918, based on the ad copy “drink success to the Allies. 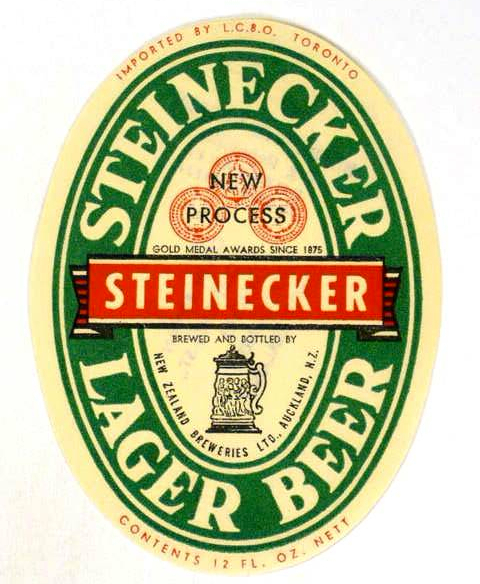 The beer was made by the W. Strachin & Co. brewery, also known as The Victoria Brewery. 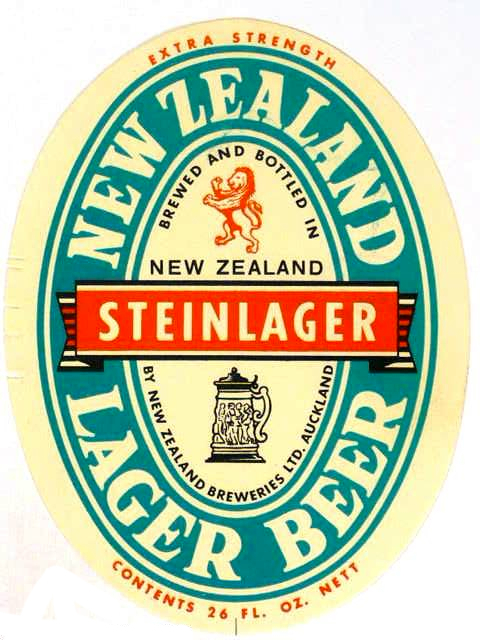 According to the Alexander Turnbull Library, it was founded in Dunedin, New Zealand in 1857 or 1860 by William Strachan and partners and by 1890 was the oldest brewery in Dunedin, and possibly New Zealand. But that tagline — “Clear To The Last Drop” — priceless. 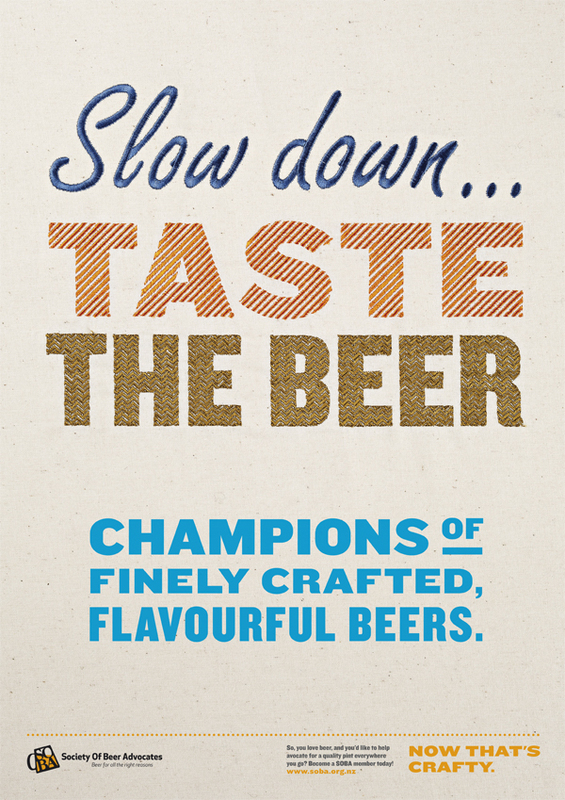 Toward that end in 2012 they created a SOBA poster campaign , where they created a quartet of posters aimed at “championing finely crafted, flavourful beers and encouraging responsible enjoyment of craft beer.” A local graphics firm, Base Two, designed the four posters to look embroidered on calico fabric and they all carried the message “Champions of finely crafted flavourful beers.” How cool is that? 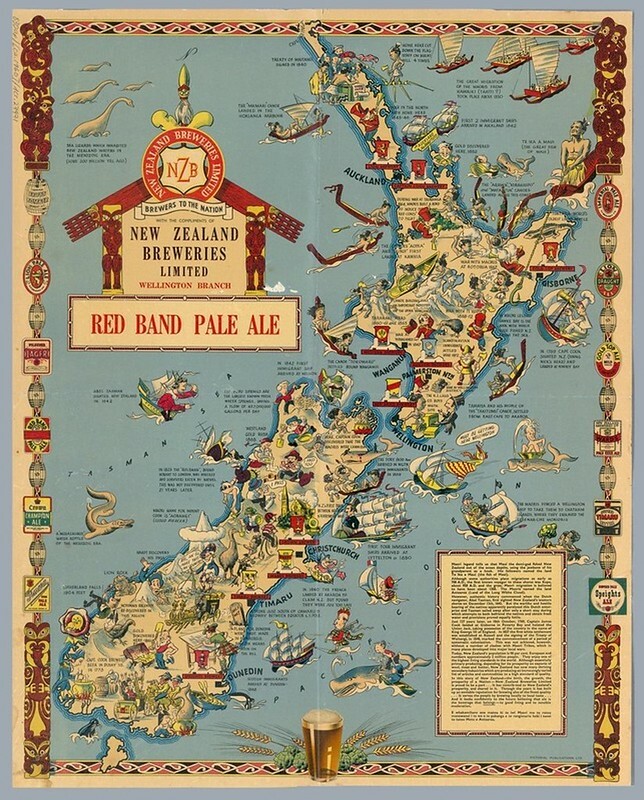 Um, maybe somebody with more technical expertise can explain this to me, but New Zealanders (and possibly the Australians) have been using what they call “continuous fermentation” since 1953, and at least one brewery is still using it today. 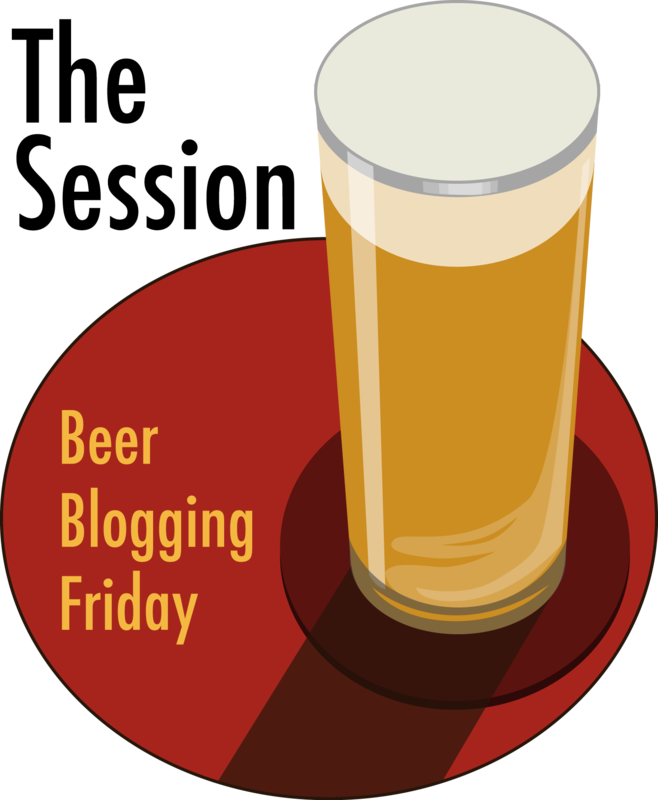 I did a sidebar about Continuous Fermentation for All About Beer magazine in 2008. One of New Zealand’s most interesting contributions to brewing sciences is the process known as continuous fermentation. 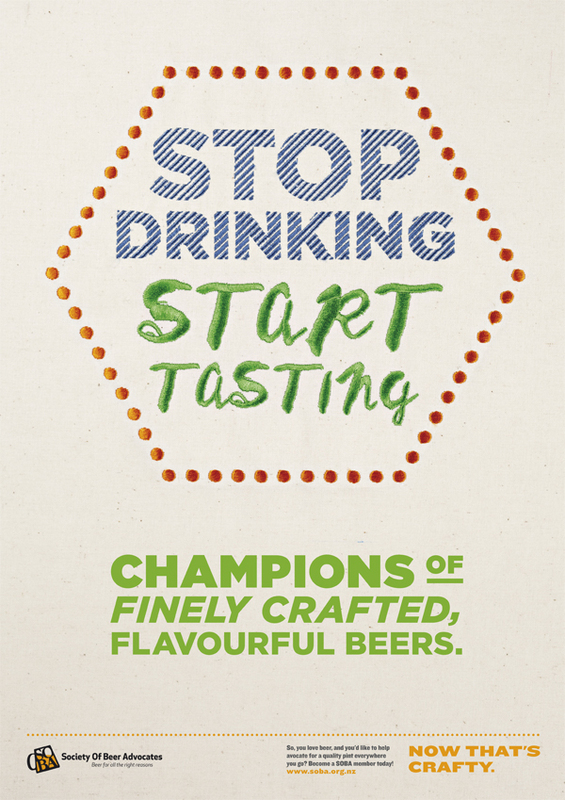 This process was patented in 1953 by Morton Coutts, whose family had been involved in brewing since the 19th century. His father founded the Waitemata Brewery, which eventually become DB Breweries. 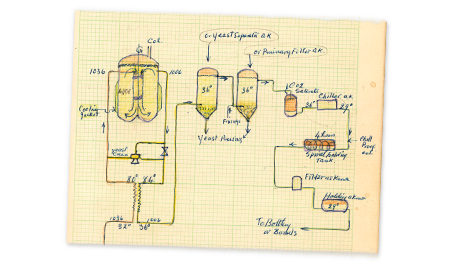 Essentially, Coutts created a “wort stabilization process” that made the wort more consistent and clear, and then separated the main functions of the yeast into two stages. In the first, yeast grew, and in the second, it fermented. By splitting these two functions, Coutts created a “continuous flow,” so brewers could continually add raw materials to the first stage, and draw off a steady supply of finished beer from the second thus allowing the brewery to run constantly. It also shortened the brewing process by as much as several weeks. Recognizing the economic advantages to continuous fermentation, Lion and DB worked together jointly to develop a practical way to use the method in a commercial brewery, opening the world’s first continuous fermentation brewery in 1957 in Palmerston North, a town in the south central part of the North Island. Continuous fermentation works best in a brewery making only one style of beer, because it’s difficult to stop the process and start up again with a new beer. As a result, Lion largely abandoned continuous fermentation in the 1980s in order to brew a wider variety of styles, while DB continues to use the method, as do several other large breweries around the world, such as Guinness. The University of Aukland’s Business History Project has a good overview on Morton Coutts, father of continuous fermentation. You can also read more at Alcohol Fuels and Ken & Dot’s Allsorts. So nothing against the German effort at non-stop fermentation. It looks interesting and innovative. But it doesn’t seem all that different from continuous fermentation that was invented sixty years ago. Maybe there’s a subtle or technical difference I’m missing, but they don’t even mention being aware of it when they insist people have been trying to figure out this problem for over a century, which seems a little strange. So while they’re understandably excited about their discovery, I wish they’d acknowledge Coutts. Or am I missing something? For their New Zealand market, Beck’s hired an ad agency, Shine, to create some buzz for their brand, and they came up with The Beck’s Edison Bottle, the world’s first beer bottle you can play like a record. 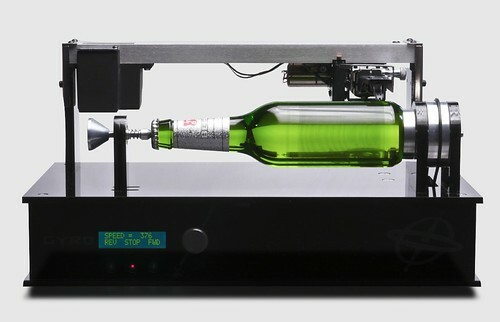 19th Century technology meets 21st Century music over a bottle of beer in the latest extension to the Beck’s Record Label project. This time, the art label has evolved, and been replaced by the grooves of Auckland band Ghost Wave. Their new single was inscribed into the surface of a Beck’s beer bottle which could then be played on a specially-built device based on Thomas Edison’s original cylindrical phonograph. 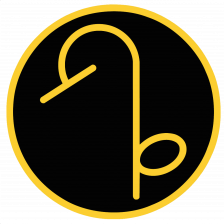 Beck’s has had a long association with music and art. In fact, at about the same time Heinrich Beck was brewing his first beer in the 1870s, Tom Edison was tinkering away on designs for the first phonograph. Considering how beer has influenced recorded music since then, this physical collaboration was very appropriate and long overdue. And below is a video showing the design and manufacturing process, along with a short demonstration of the bottle being played. These close-ups show what the grooves on the bottle look like.